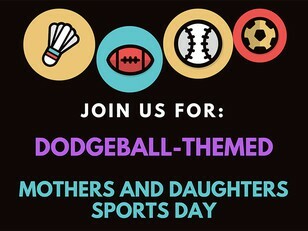 Join us at AIA Vitality Park for WISE's dodgeball-theme Start with Sports: Mothers and Daughters Sports Day! This is the final of their sporting activities for 2018. So don't miss it and sign up to attend today. WISE Start with Sports is their flagship Mothers and Daughters Sports Day where they invite Hong Kong-based mothers and daughters to join them for some sporting fun. It's a great way to foster stronger mothers and daughters bonds through sports. In this session on 25 November 2018, they have invited two coaches: Kimmy and Savanna from HK Dodgeball to join us. They will be using foam balls to ensure the activities suitable for all ages. Expect to learn new drills and get a taste for Dodgeball.